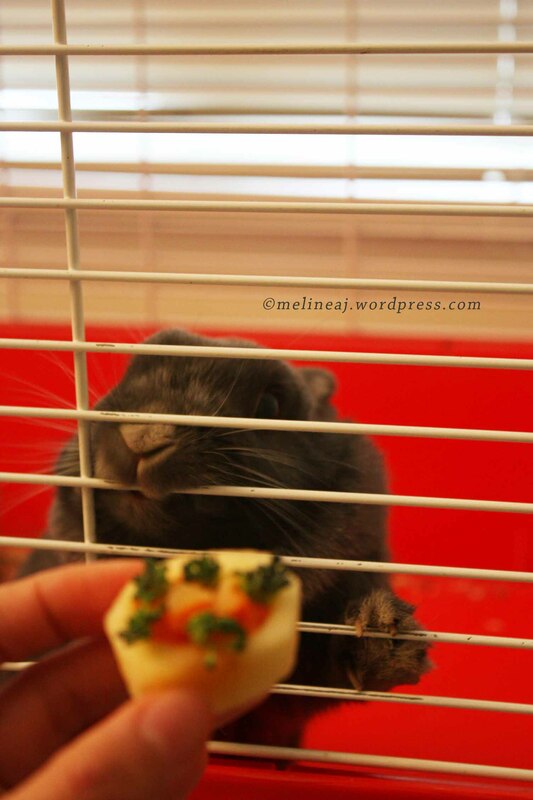 Yes, it’s been 5 years since Honey, the bunny, was born! She’s still my cute little baby bunny – although in rabbit year, 5 year old is not a baby anymore. If you want to know how I got her, you can read this. – Bowl: I slice the apple horizontally about 1 inch thick, then slice it into 2 at the core. On the one of the halves, I tried to ‘carve’ oval shaped that resembled a bowl. Once I got it, carved out the middle, so I can put the filling inside. 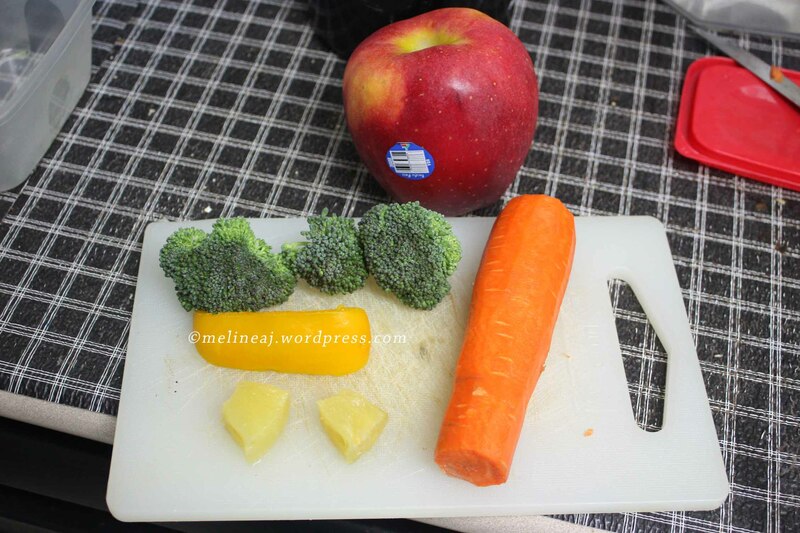 – Carrot filling: I sliced the carrot very very thin ~ even thinner than julliene cut. 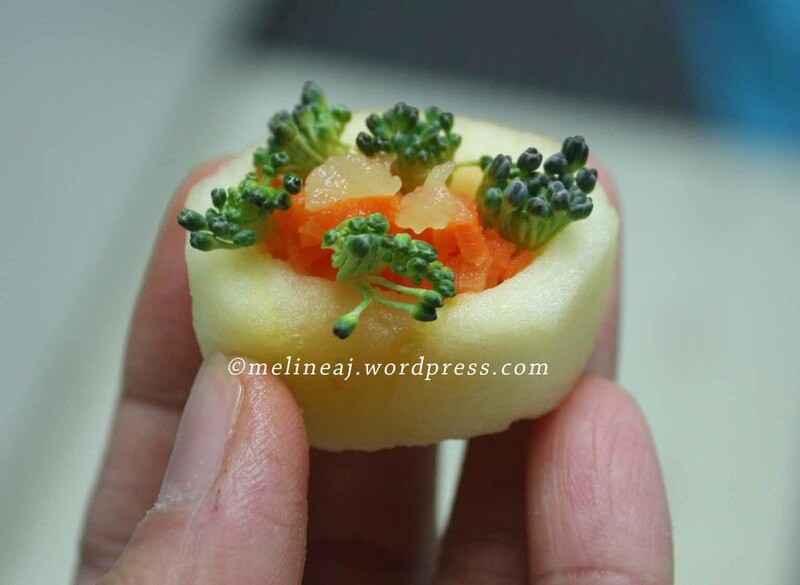 – Broccoli florets: I only need very little of this… Since the bowl was quite small and I put too much carrot inside, I intended to have 5 tiny florets to resemble 5 candles… So, you can imagine, I only need very tiny amount for this. 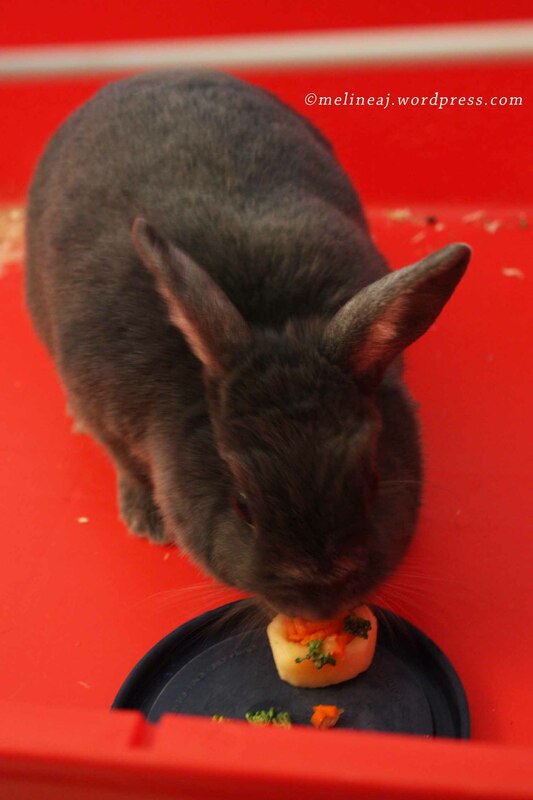 – Pineapple chucks: since pineapple is good for preventing hair ball in rabbit, I decided to put this as garnish. I only slice 2 very little cube to put on top.